With word on the street pointing towards an iPad 3 reveal in early March, big retailers are gearing up to drop the price of the iPad 2 with hopes to clear their inventory. The first to take the plunge appears to be the 16GB WiFi model which was dropped by $70 at Meijer. In addition to the base model dropping to $429, the online retailer has also reduced the price of the Smart Cover accessory to $35. This $70 price cut is the biggest discount, to date, for the Apple tablet that released back in March of last year. 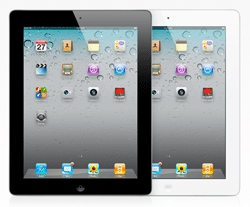 Best Buy came close during the holiday rush, slashing $45 off all iPad 2 models on Black Friday.